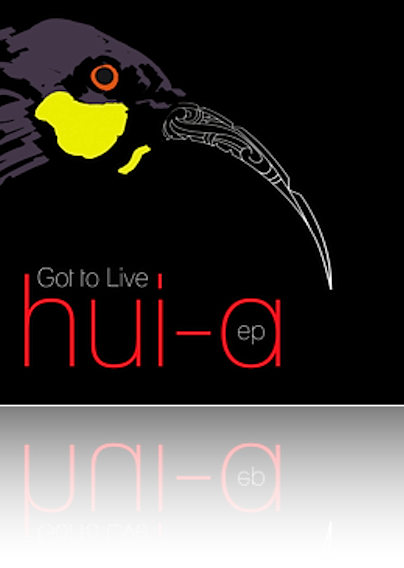 My Maori friends Hui-a (made up of Jerome Kavanagh and Ben Mullon) have released their debut EP, Got To Live. Both artists are of Maori ancestry, and I had the good fortune to work with them in December of 2007, during my recording sessions at Abbey Road. They perform a haka and whakorero on the final track of my album, a Maori song called 'Kia Hora Te Marino'. Also guesting on the EP is the singer Kevin Mark Trail of The Streets. The album's a great blend of traditional Maori chants and instruments, accompanied by contemporary beats. Anyone who's a fan of traditional music blended with modern instrumentation ought to give it a listen. I quite like the title track 'Got To Live' myself. I think it would make great late-night driving music for the Los Angeles highways. It's amazing how some of those Taonga Puoro sound like wolf howls. I think it is so cool that you can pick up an instrument and create something that didn't exist 5 minutes ago. You can write something that no ones ever heard before. You have music at your fingertips.